New Horizon Family Health Services – At New Horizon Family Health Services we have been improving the health of the communities we serve since 1992 with locations in Greenville, Greer, and Travelers Rest in the Upstate of South Carolina. We offer quality health care for anyone in need of a family doctor and medical home. For appointments and information for the visually impaired, please call (864) 729-8330. 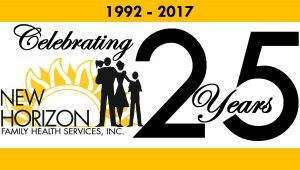 New Horizon Family Health Services has been improving the health of the communities we serve since 1992. With locations in Greenville, Greer, and Travelers Rest in Upstate South Carolina, we offer quality health care for anyone in need of a family doctor and medical home. Our years of experience and commitment to excellence have earned us the reputation as a trusted source of quality medical care and related services. Our medical staff provide primary medical, dental and behavioral health care to anyone in need of those services. We offer a range of health care services which include preventive care, as well as management of chronic medical conditions such as diabetes, arthritis, digestive disorders, and more. Our mission is to provide quality, affordable, compassionate patient-centered health care to improve the health of the communities we serve. Superior patient care is the hallmark of New Horizon Family Health Services. Our highest priority is satisfied patients. We are proud to serve you and work hard to be your first choice for medical care. Our Patient Forms section contains many of the forms that you may need during the course of your treatment at New Horizon Family Health Services. We’ve compiled a list of the questions we are most often asked. This 100% FREE self-service health management tool is designed to support more effective communication with your medical provider and ultimately give you the ability to make more informed decisions about your health. To enroll for health insurance, or for the most up-to-date information on the Affordable Care Act and the Health Insurance Marketplace, our Outreach and Enrollment Specialists are here to help you through the health insurance enrollment process. Online bill payment provides you with a safe, secure online alternative to mailing in your bill. New Horizon Family Health Services operates four medical offices throughout Upstate South Carolina, 2 mobile units, and a dental office in Greenville, South Carolina. "The total experience at New Horizon Family Dental Care was perfect! “I have been a patient at New Horizon Family Health Services in Greenville for 12 years. In February 2014, I met Dr. Knowles. After our first visit, she recognized my PSA was high. After seeing a specialist, I was diagnosed with prostate cancer. “I shrugged and told Dr. Cotter that without health insurance, I could not afford to pay out of pocket and was going to skip my mammogram. It would have been my first year without a mammogram in 13 years, even though it runs in my family’s history. Dr. Cotter made special arrangements for a mammogram and they found cancer. This health center is a Health Center Program grantee under 42 U.S.C. 254b, and a deemed Public Health Service employee under 42 U.S.C. 233(g)-(n). If you have any questions or would like to speak with a New Horizon Family Health Services representative, please email us at marketing@newhorizonfhs.org or call us at (864) 729-8330. Researchers say the commonly prescribed diabetes drug helps lower blood pressure, a key factor in reversing symptoms caused by left ventricular hypertrophy.